1979 - The Jacksons kick off the European leg of the Destiny world tour, performing a concert in Bremen, Germany. 1985 - The first recording session for the song We Are The World was held at Kenny Rogers' Lion Share Recording Studio. Jackson and Richie began work on the song's creation at Hayvenhurst, the Encino home of Jackson family. For a week, the two spent every night working on lyrics and melodies in the singer's bedroom. They knew that they wanted a song which would be easy to sing and memorable. The pair wanted to create an anthem. Following several months of working together, the duo completed the writing of "We Are the World" one night before the song's first recording session. The first night of recording had tight security on hand, as Michael Jackson, Lionel Richie, Stevie Wonder and Quincey Jones started work on We Are the World. The studio, on Beverly Boulevard in California, was filled with musicians, technicians, video crews, retinues, assistants and organizers as the four musicians entered. To begin the night, a "vocal guide" of "We Are the World" was recorded by Richie and Jackson and duplicated on tape for each of the invited performers. The guide was recorded on the sixth take, as Quincy Jones felt that there was too much "thought" in the previous versions. 1988 - Rehearsals for the BAD world tour's second leg took place at the Pensacola Civic Center in Pensacola, Florida between January 22 – February 18, 1988. Following Australia, the BAD world tour finally hit the U.S. For the U.S. and European dates, a whole new show was created. 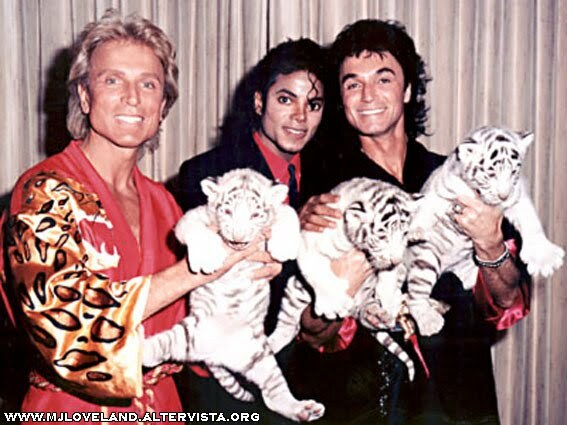 Earlier in January, Michael attended a performance 'Beyond Belief Show' of Siegfried and Roy at the Frontier Hotel in Las Vegas. Impressed by their show, Michael met German-bom magicians, after the show and spent the next day at their home. Together they worked on illusions to be included in Michael's new performances. In return, Michael wrote The Mind is the Magic, the theme song for Siegfried and Roy's performances at the Las Vegas mirage Hotel. A tape of Michael performing the song opens each of their shows. 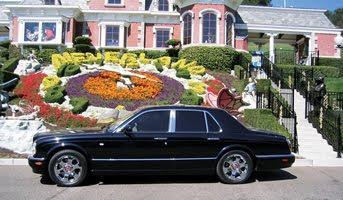 2004 - Michael Jackson's customized 2001 Bentley sedan was removed from a car auction. Jackson's management team notified auction officials that Jackson wanted the sale postponed. The Bentley Arnage Red Label Turbo was featured in Jackson's video for the song "What More Can I Give." 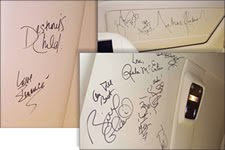 The interior roof of the metallic blue car was signed by a host of celebrities including Jackson. The vehicle itself is valued at $150,000. This entry was posted on 22 January 2011 at Saturday, January 22, 2011 and is filed under 1978, 1979, 1985, 1988, 2004 . You can follow any responses to this entry through the comments feed .